There is No Free Lunch, or Nothing Gets You Nothing. I think the above statements can delightfully articulate the nature of the current 'Free' app environment existing on most mobile app stores. Tim Cook of Apple probably said it best when he said that 'You're not the customer. You're the product," when speaking about Google and data it collects on users. The same thing applies to apps. While Apple may not be actively collecting and selling data on its customers, the apps on its online store most likely are, or at least spamming you with adds hoping you click on them. In any event, for myself especially, the question has always been what data do those free medical reference apps collect, and what are they doing with it? Such apps include the big 'sellers' Omnio and Epocrates for instance. So, needless to say, I was quite intrigued when I came across the website PrivacyGrade that LifeHacker recently covered. 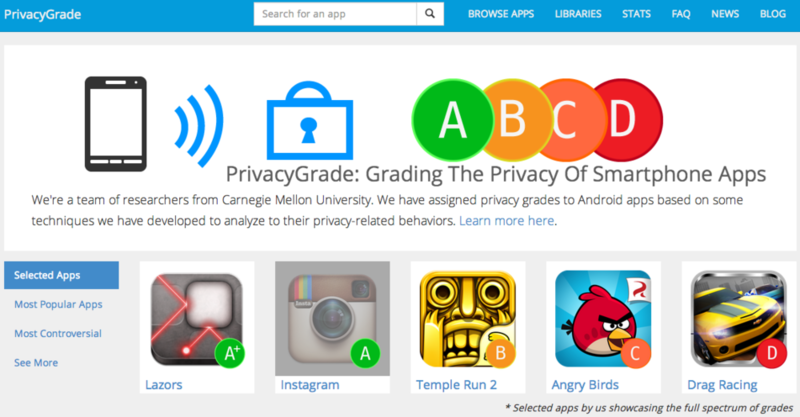 PrivacyGrade essentially is a rating system (A-D) of mobile apps, detailing what data they collect on users, and how they are using it. Overall, one thing that stood out to me as I plugged these apps in, were that some of the reviews were several months old, that some areas were not fully evaluated by the website but still graded, and that some things that would seem concerning ("add or remove" accounts) were not really detailed. Almost all of these apps scored a high score, so it left me wondering what a 'bad' app was. 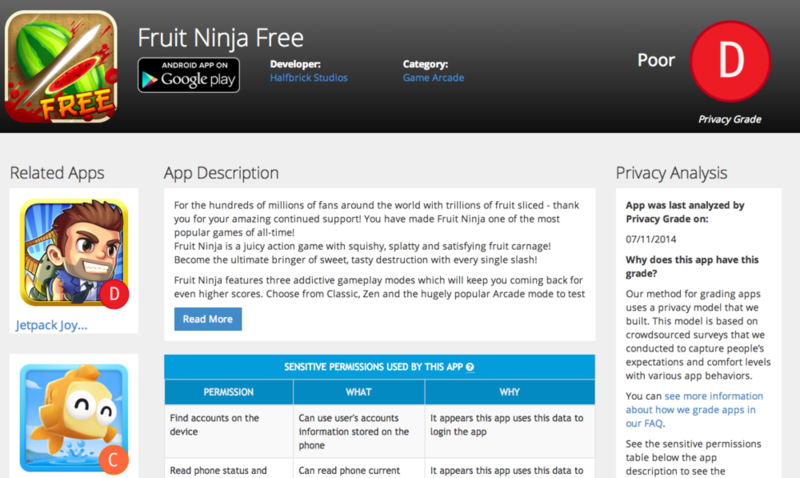 PrivacyGrade gives a list of controversial apps, and most of them are 'free' games. Most of these free games seem to be an issue due to their using data outside of the confines of what they are supposed to do (i.e. entertain), and rather collect data on the user for selling advertisements. Keeping that in mind, I would say that if you end up getting a free medical app that has advertisements, it most likely is doing the same stuff as free games and collecting a lot of background data. As of now, it's really hard to tell what most companies are doing with data, and we can hypothesize or just assume that they are using them for their own personal analytics. I can't say for sure whether PrivacyGrade has quite reassured me about most apps out there, but it's a start. Why Doesn't Anyone Want to 'Hack' Pharmacy?